It is often the case that in situations where modern technology meets culture, religion and tradition then it is the case that the latter factors win out. Not so in Morocco, where as part of a climate change and renewable energy national consciousness-raising initiative, the country’s government recently announced it is set to crate 600 “green mosques” across the country. The revamp is set to be completed by March 2019 and will see mosques get LED lighting, solar thermal water heaters and solar photovoltaic systems. The scheme is being underwritten by Morocco’s Ministry of Islamic Affairs, who will pay up to 70% of the initial investment costs, and are working in partnership with the German government. In November 2016 Morocco hosted the COP22 Climate Summit in which governments, businesses and other stakeholders came together to discuss how best to implement the Paris climate change agreement. 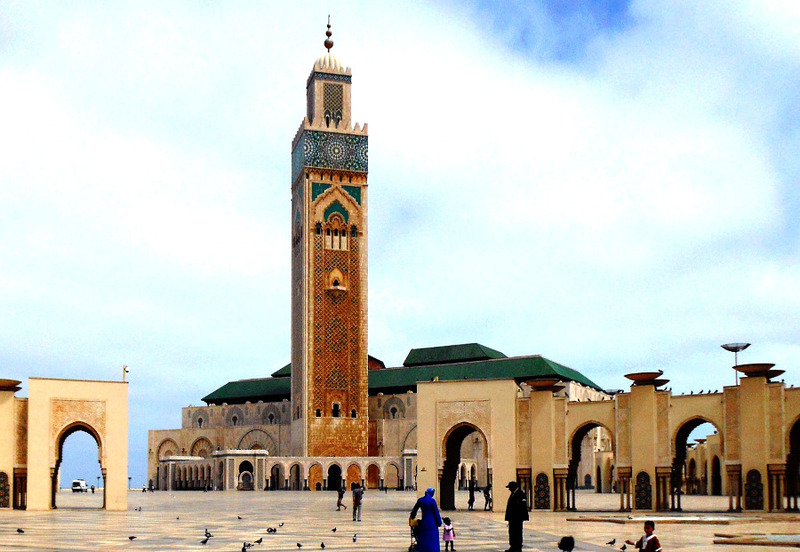 In an effort to gain increased publicity and illustrate to the world the actions it is taking as a country, the measure, by Morocco to green 600 mosques across the country was announced a few months before the summit was due to begin. With around 15,000 mosques scattered across the country it is expected that this initiative will just be the beginning. The first 100 mosques to be turned green are based in the big cities including Rabat, Fez, Marrakech and Casablanca but the project will soon move into smaller and more rural towns and villages. It is Morocco’s intention to learn from Germany’s Energiewende, (energy transition) in order to develop its own green economy. The country already boasts the largest windfarm in Africa along with a huge solar power plant in the Sahara Desert but it is expected that through this project a skilled workforce of electricians, technicians and auditors will be selected and trained. They will then be able to use their skills to help make even more mosques renewable or to work on greening homes, businesses and other buildings. Importantly, the solar installations are expected to cut the electricity usage rates of mosques across Morocco by up to 40%. Perceptions about renewable energy, the use of innovative technology and how they impact on daily life and religion are rapidly changing across Morocco and other Middle Eastern countries. Following on from Morocco’s strong example, Jordan has also recently announced its intention to install solar rooftop systems on all of the country’s 6,000 mosques but will start off by converting just 120.